The Following screenshots are from Lenny Zaprowski’s Facebook page, recently taken by a concerned reader. 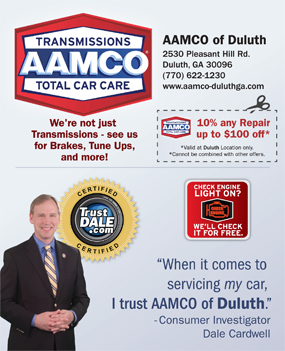 Lenny Zaprowski stated one of the IP addresses is from his Chiropractic office and is available to anyone who visits. Below are the dates & timestamps of the 2 comments Lenny Zaprowski submitted, along with the comments from the same IP address & others associated with “Paul Francis” / Monikers. Below are screenshots of some the comments to show the context. 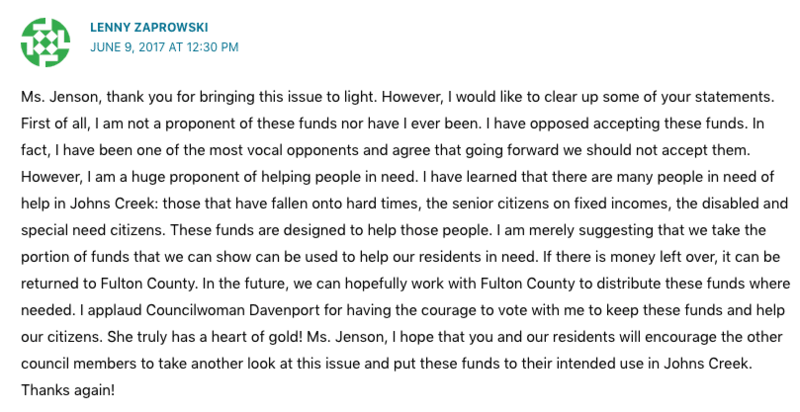 Here is the Post in which Lenny Zaprowski texted the Johns Creek Post Owner, Jennifer Jensen about the comment he submitted, requesting approval. This verified his IP, and we were able to see the other comments submitted through it. The following comment came from another IP address the fictitious “Paul Francis” used. When a concerned Resident stepped forward to contest his seat in his re-election, “Paul Francis” made the following comment on this post. It should be obvious that no one has “spoofed” Zaprowski as he originally claimed. Why would someone do that to post Positive comments defending Zaprowski? 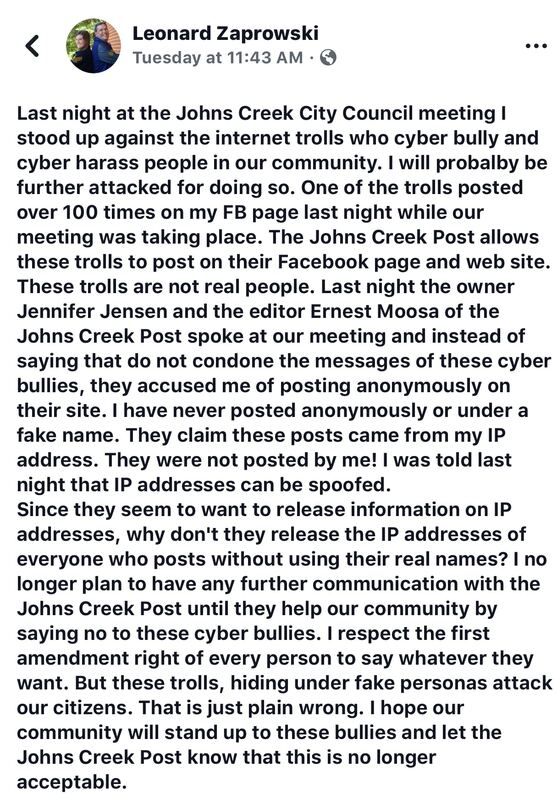 They could have done this from anywhere and any IP address and the comments would have been posted at the Johns Creek Post. 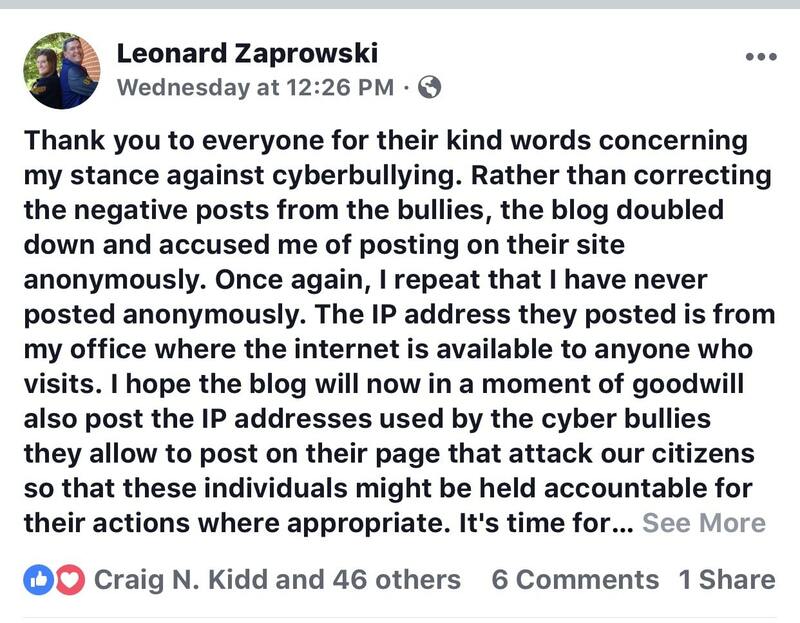 It should also be obvious that the purpose of the comments was to create the appearance of support for Zaprowski at the Johns Creek Post by deflecting criticism prior to the conclusion of the 2017 election cycle. However, we will lead that up to you to decide the motivation behind the multiple aliases. Paul sure misspells like Lenny…Just sayin!! !